Founded in Kelowna, Wilderness Custom Exteriors has been serving the Kelowna and the surrounding areas for many years, and has grown a highly successful business servicing the Okanagan Valley. Since inception, Wilderness has become a premier exterior company in the Okanagan, with a history of projects of varying scopes of work that would include multi-family, commercial as well as single family custom homes and exterior renovations. Wilderness Custom Exteriors operates a roofing division led by professional consultant with over 15 years experience in roofing and exterior fields. Happy and satisfied customers are our top priority – supported by our expertise, experience, and our commitment to providing and maintaining the highest quality. Wilderness Custom Exteriors offers affordable, attractive options for new construction, as well as re-siding and re-roofing packages for existing homes. Wilderness Custom Exteriors installs a wide variety of exterior siding products, from the simplest Vinyl Siding to High end custom home Hardie plank combinations, and much more. Wilderness Custom Exteriors is a preferred installer for James Hardie siding products, specializing in providing a 15 year no maintenance full wrap James Hardie solution for your home, office or commercial building. We also do custom metal fabrications. We understand the value of a good roof. 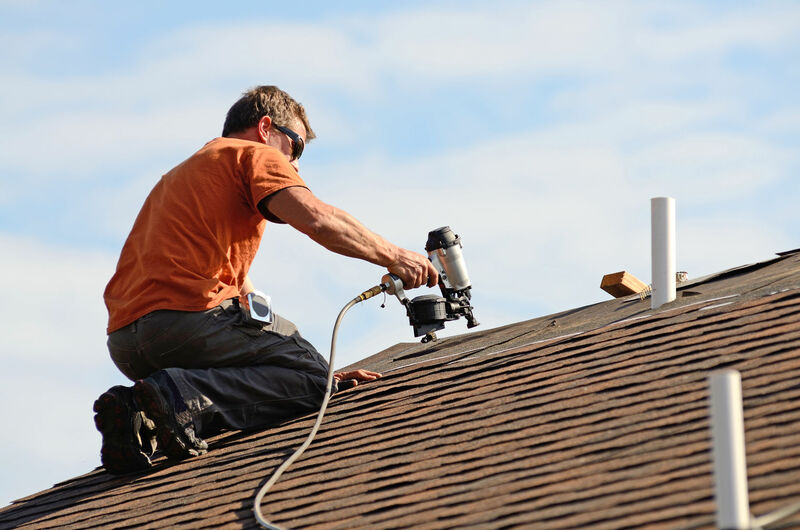 Our experienced team can install anything from cedar shake, ashphalt, Shingle or flat roof torch-on roofing. A fresh roofing job can make an amazing difference in the appearance of a house, and we also supply and install all types of roofing, as well as gutters, downpipes, skylights and vents. Our specialty is to get you a quote and get the job done faster than our competition. We also do custom metal fabrications. Wilderness Custom Exteriors is proud to offer Flexstone decking. 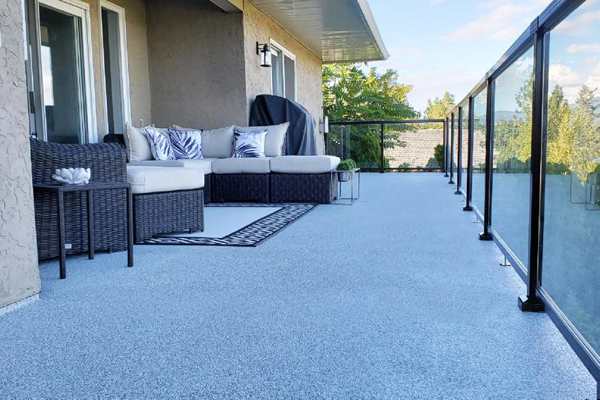 Flexstone is a thick, rubberized, eco-friendly cold applied coating designed for applications on sundecks, flat roofs, and more. It is versatile, long-lasting, and resistant to freezing temperatures and heavy traffic. The finish coats are also 100% UV stable and fade resistant. Flexstone offers a variety of luxurious finish options designed to suit nearly any home design scheme. 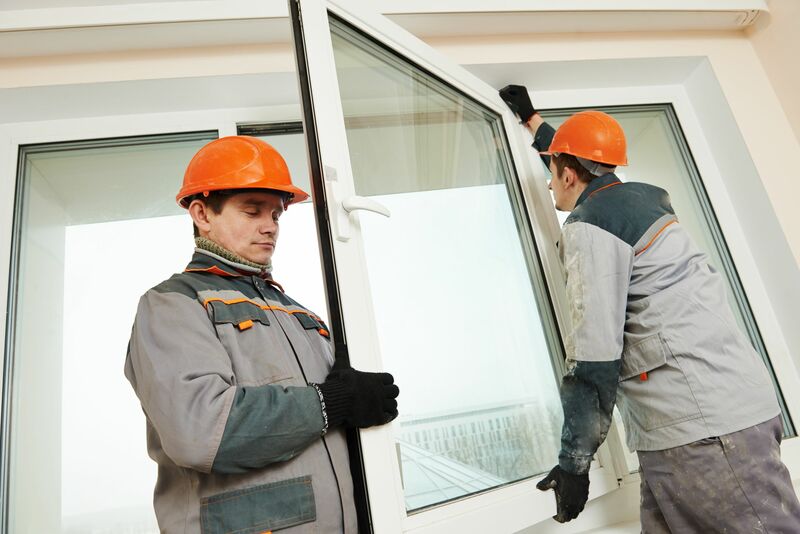 Doors and windows are an important part of the home both aesthetically and functionally. 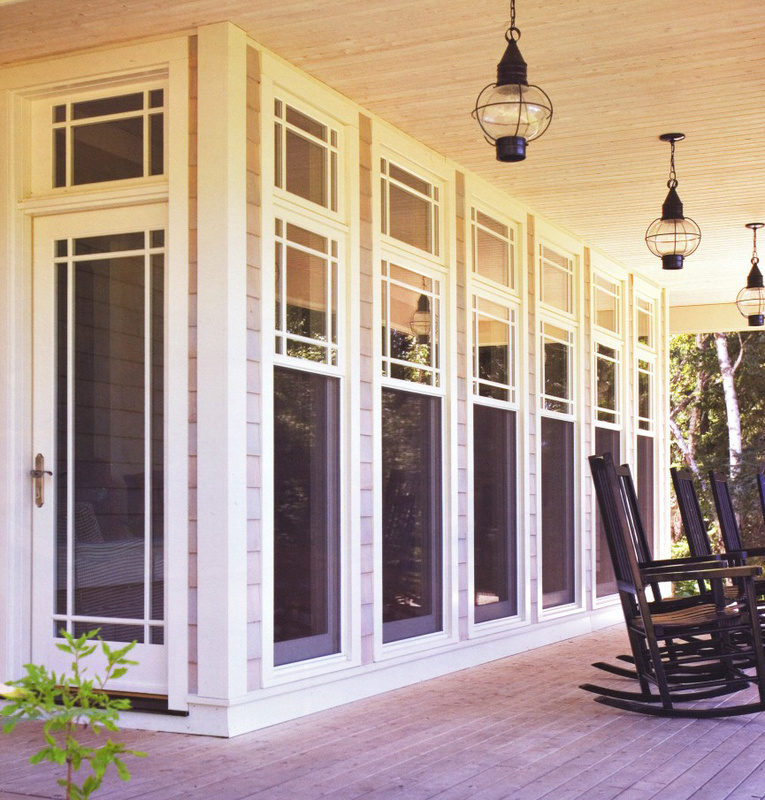 Windows and doors can help reduce heating and cooling bills and can reduce noise. Wilderness Custom Exteriors specialists in installation, we’re not tied to any one manufacturer. Putting new energy efficient windows or doors are cheaper and quicker to install than you think and can be a great new renovation project for your home. 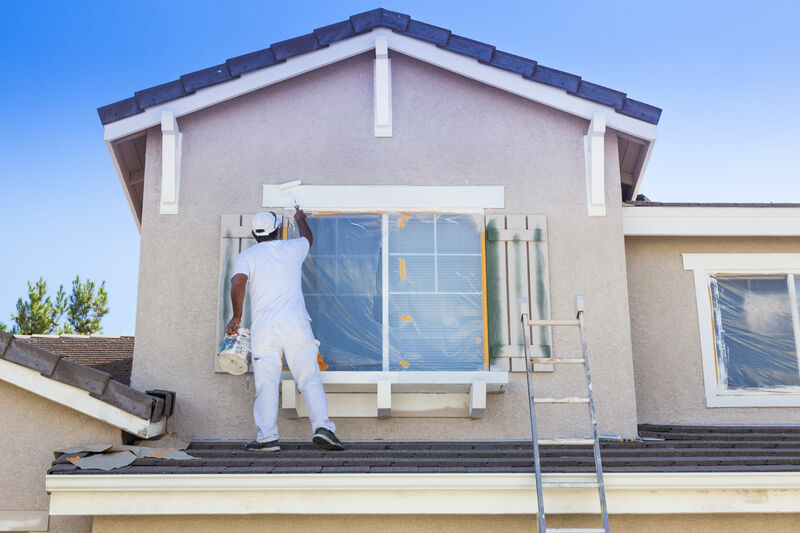 Wilderness Custom Exteriors painting division can take a project from the initial contact to completion with high quality work in an impressive time frame. No job to big or small, interior or exterior, residential or commercial painting. We pride ourselves on having the only pre-stain/paint facility that can pre-stain siding, soffit, kitchen cupboards, interior/exterior doors and windows, patio furniture and much more. From your foundation to your rooftop and everything inbetween! You will not have to deal with multiple contractors to complete the exterior of your home or building. 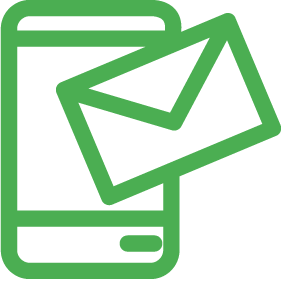 Project quote and acceptance through phone/email. 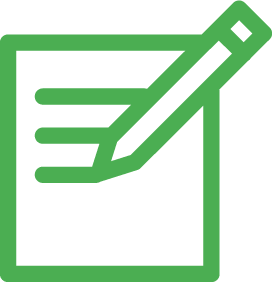 Go over details such as time frame, project materials and colors. We begin the work and complete the project in a timely fashion and making sure the customer is completely satisfied. Wilderness Custom Exteriors was hired to replace the vinyl siding on my home with new Hardie board lap board and shake-style siding. I was very impressed with the work their crew completed. Their attention to detail and recommendations on aesthetic resulted in a finished job that I could not be happier with. They were very professional and personable, a pleasure to have them working at my home. They kept the job site clean and tidy every day, careful to pick up any nails or sharp objects as they knew I had young children around. They also finished the job much faster than I had expected. I would recommend them to anyone needing exterior renovation of their home. Wilderness Custom Exterior were hired for the siding installation for a house we are building in Lake Country. Their professionalism and his dedication to the project went beyond just installing siding. They was very attentive to everything that was being done on the job and was a very valuable asset for us on site. We would highly recommend them as they were talented and efficient. Wilderness Custom Exteriors did all the siding and trim work on our new build. It was a challenging home to work on being a large, tall, home with lots of corners and detail work situated on a steep lot. They take great pride in the quality of his work and took the time to explain the finer details of the installation. Knowing the extra care that was put into the installation gives us confidence that our home will look beautiful and be protected for years to come. Wilderness was amazing from start to finish! Jason installed the Hardie Plank siding quickly and the workmanship was top notch. The job ended up being more labor intensive than was originally expected but it was so nice to see that the quote was honoured. When it was time to clean up and head out, Jason and his team left my place looking tidier than when they pulled in. We had a great experience with Wilderness and I highly recommend them. I do not remember the names of the 2 people that did the roof at our place two weeks ago. However, I want to extend my thanks to them for a job extremely well done.Your team was experienced, well behaved, and attentive to details on the roof. They were proud of their work, as if they were doing it on their home. Please extend my thanks to them. These two deserve recognition. I will also recommend “Wilderness” to anybody in need of a new roof. What an excellent choice to have Wilderness Custom Exteriors Ltd. re-roof our home. 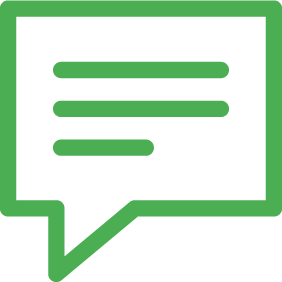 From the first encounter with Jeff Charlebois we felt that his knowledge and expertise of the roofing business would meet our needs. He took the time to explain colours and types of shingles available that would complement our home.The service crew was very prompt with excellent workmanship and ethics. They worked with great care to complete the job on time. We were impressed with the willingness of the crew to ensure we were not inconvenienced during the time of the re-roofing.All of the staff at Wilderness Custom Exteriors Ltd. were very polite and understanding to our needs. We certainly would recommend them to anyone who needs to have any exterior work done on their home. Wilderness Custom Exteriors & Roofing have just completed replacing our hail damaged shingles. We would like to express our appreciation to them. Jeff Charlebois and his teams of Brian and Matt were outstanding. They did their work on time and efficiently. Jeff was very thorough in his explanation to us on the type of material they were going to use and also the eaves that were put on the house.We have nothing but wonderful comments on the work and service they provided and we will definitely refer them to anyone that requires any of the types of services they offer.Thank you for a job well done! I would like to extend a thanks to Jeff Charlebois and his crew! Rory, Nolan, and the team were all extremely professional and shocked me with how quick and painless the whole transaction went. In our busy city it is extremely hard to find great fast service. I did not expect on Monday morning when I phoned for a quote that I would have new shingles by Wednesday evening, giving our 1955 house a whole new look, but that’s exactly what happened with no unexpected issues or hidden surprises! Awesome work guys! This is who will get our thumbs up from us to anyone who needs roofing done. We are so happy with the work done, the great service, the professionalism of all involved.Jeff is a man of his word and kept us up on anything we needed to know, the color is perfect and makes the house look great, thanks for your time and the friendly speedy reasonable quote. Less than a week from the quote to being completed. This is how businesses make a great name for themselves.Mike, Mary and all the Crew, you are all stellar at what you do, It was so good to see the care you take and that you all take pride and really care how you do the job, there is no doubt that you all care sincerely about your work and the people you do it for. Thanks so much to all of you, great job! 5 hours from arrival to cleaned up and completion is amazing.The house and garage both look great and we are still in shock at how fast and efficiently this all took place. I wanted to express my appreciation for a job well done. The material was delivered on time. Matt’s crew came by in the morning, and by the time I returned that same evening the job was done. I am not a roofing expert, I have re-shingled my previous home successfully but not to the degree of workmanship that we have received this time. Your crew had performed this task in a timely, and professional manner. The amount of clean-up I had was a small handfull of nails and chips of paper. WOW. The only regret I have is that I wasn’t around at the time of completion to feed them a beer and shake their hands for a job well done.I accept that the quality of the job remains to be experienced, however I am convinced it will withstand the test of time.Thanks Jeff for helping us protect our investment. Please pass this message on to Justin and the roof guys and to Daniel & crew with the eavestroughs stuff. They were all very personable folks. We were so impressed with the speed and efficiency of these two projects. Oh and yeah, the work was so well done and we have had excellent comments from the neighbors! Of course we were also impressed with Jeff for his absolute professionalism. It’s been a couple of weeks now since your crew completed our new roof and I wanted to let you know that they did a fantastic job. We have had comments from a couple of neighbors who watched them work and were very impressed with their professionalism… and how good the new roof looks. Considering that there was still a couple of feet of snow in the yard and that they had to clear snow off the roof before they could actually start, they did a fabulous job and completed it much faster had we had expected.Daniel’s crew did a great job with the gutters, soffits and facia on the house. Likewise, JJ and his helper did a fantastic job on the garage… it looks like a new building! The new shingles look great and Mike and Mary and their crew were really great! They were all very pleasent to talk with and very considerate about keeping the yard clear of debris so we could get in and out while they were working. All-in-all it was a great experience. Thanks for the great job. Wilderness Custom Exteriors was the easiest and best experience we’ve ever had with a contractor. Between our initial contact and completed roof, only three weeks elapsed, and that’s because we asked them not to come the first time they offered! When the crew did arrive, they were courteous, friendly, and efficient. Roofing our house and garage took only a single day, including shovelling a record snowfall out of the way to access the roof, and clearing three feet of snow from our garage. The crew cleaned up every visible nail, swept the exposed portions of our lot, and carted away all of the detritus. My favourite moment was watching the crew take a well-deserved break on the new roof of our garage to watch the sun set before driving away at the end of the day. We were extremely delighted with the job done by Wilderness Exteriors. 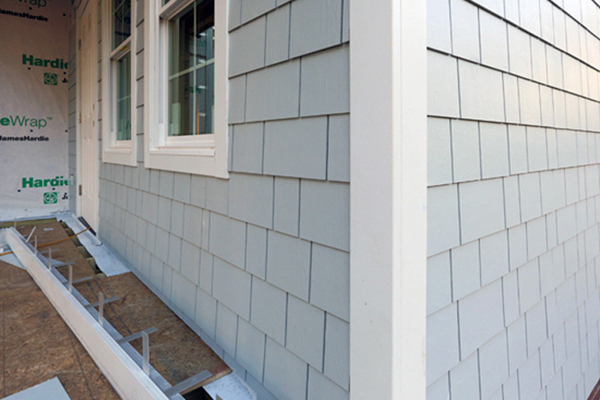 From the initial estimation to the removal of the old siding,the installation of the Hardie Plank, the trim painting and the gutter work the whole process was first-class, efficient and highly professional. All those involved were extremely personable and accommodating.If we were to do the renovation again Wilderness would be our company of choice. We highly recommend them in all aspects. To Jeff, Wilderness RoofingOn behalf of my wife Joan and I, I commend you and your crews for the prompt and efficient work you did to our home – siding, roofing, and gutters. All workers were courteous and very thorough in doing their jobs and we are very happy with the complete job. “Prompt – Thorough – Professional”. Wilderness Roofing offered impeccable service for the reroofing project on my home. After many roof leaks appeared inside my house, Wilderness’s team of professional roofers stepped in and uncovered several roofing short-cuts left by a previous contractor (which eventually caused water damage inside my home). Wilderness Roofing then provided me with a water-proof membrane and top quality shingles, so my home is now impermeable to future water damage. Everything about the project from the word “go” went like clock-word. Their team of workers were time-efficient, friendly, and excellent to deal with. Very impressed. I’m very happy to give Wilderness Roofing my highest recommendation. Last Monday I called Jeff to set up a time to replace our roof and by the time I returned home from work on Friday of the same week, the whole job was finished! The two roofers who did the work were thoroughly professional, efficient and look to have done an outstanding job. Everything was so clean after they left that apart from the Wilderness sign and great looking new roof, you wouldn’t notice that they’d even been here.Hey, where else in this super-busy town can you get service like that? Jeff, please let those guys know what a great job they did! Assuming the new roof holds up for many years to come, I’d recommend your company and crew without any hesitation. Amazing! Jeff, on behalf of Audrey and myself, I want to thank you and your crew for doing such a quick and professional job reroofing our house and helping us through dealing with the insurance company. The crew was a good bunch of young guys who worked hard and were willing to answer any and all questions. You were/are the consummate sales guy who could not only sell shingles and painting to Saskatoonians but who could sell snow to the Inuit! I did recommend you to some of our neighbours and at least one of them has had the same crew here this week doing his roof. They are, as I write this note, finishing up. If anyone of my other references has you do their work, I can only hope that a Montreal Canadiens mug would appear on my front step.!? Thanks again Jeff and crew. Nothing beats good customer service, good product and professional staff!Go Habs and have a great rest of the season. The sales presentation was professional, the workmanship was done as promised, and the installers were friendly and courteous. The Team Leaders, Matt and Shannon, kept us well informed and had their teams working together superbly to replace our very tired, cedar shakes with rich-textured asphalt shingles. It was a very cost effective alternative and turned out absolutely beautiful! We added a recommended raised ridge capping to capture some of the chunky look of the old cedar shakes which also enhanced the architectural lines of the roof creating a greater street appeal. We are extremely happy with the results. We had a great experience with Jeff and his crew when we had our shingles replaced. Jeff was very knowledgeable, fair, and prompt. The crew was extremely courteous and acted in a very professional manner. The job was done as Jeff had promised, and we were wonderfully surprised as how easy it was. Our shingles look absolutely fantastic, and we would undoubtedly recommend Jeff and his crew to anyone else looking to have their shingles replaced. Just wanted to tell you how pleased we were to have your company re-shingle and repair our roof and install new gutters. You were very prompt in providing a quote and the work was completed in a short time frame. The guys doing the job on the roof were skilled, courteous and friendly and cleaned up nicely as well. The three amigos who replaced the gutters were here the day after the roof was completed, and again, were polite friendly and efficient! We appreciated the promptness of getting the work done and the quality of the work itself. Very professional. We would not hesitate to recommend your company to others. Keep up the good work. My husband and I just recently had our cedar siding house recovered in Hardie Plank by two wonderful men, named Steve and Glen who work for Wilderness Exteriors. 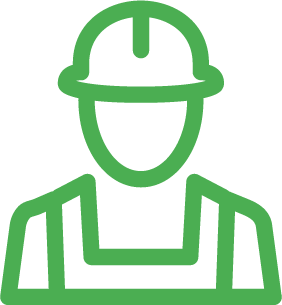 Here is a list of the reasons we would recommend those wonderful workers: – Both are punctual – They work really well as a team and make sure they check in with the owners and their expectations in order to prevent misunderstanding on a regular basis. – Both are knowledgeable and helpful in recommendations when the unexpected occurs, as is so often the case with renovations. – The site was left with a garbage bad firmly tied for the night. – The best part was their creativity in making our home and shed look special with finishing touches. Both our shed and outdoor storage cupboard needed doors recovered and these were done exceedingly well.Thanks to Steve and Glen we have a new look to our older home.We would recommend these men to anyone building or renovating a home.